The Book Design Review The Book Design Review: Imbibe! And after a 12-hour work day, I'm doing exactly that. Jason Gabbert of The Design Works Group and Faceout Books sent this in. 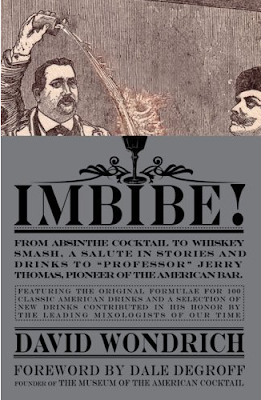 Not only is it a pretty fun cover, but it served as my introduction to The Museum of the American Cocktail. New Modern Wing at the Art Institute, you'll just have to wait your turn. UPDATE: Jason points out there's a belly band on this book. Check out designer Gibson's site for a view of what's underneath. I like that the wall of text (especially of wildly different sizes and weights) shouts "old fashioned". I don't know how I feel that design has come to the point where that association is not only possible but assumed. Design is by Ben Gibson. The type is on a belly band. You can see how this looks on one of Ben's PDF's. first of all. I like the new look for the blog. Maybe it's old, but it's new to me. Hey Ian: it's pretty new...all I really did was a new, lighter header and logo and I moved things around a bit. Thanks Jason. I like the cover much more knowing the image underneath is complete. i saw the author on the colbert report recently. he's a crackpot. he was also surprisingly sober for an expert on cocktails!